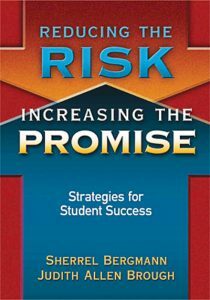 Effective programming for the at-risk student is a pervading issue in the contemporary classroom. Using the idea of the six Rs—resilience, resourcefulness, responsibility, relationships, respect and reading—the authors present teaching strategies for the teacher, administrator and parent of at-risk students which may assist in keeping these kids engaged and in school. Each section of the book provides a clear definition of the particular quality, accompanied by a deeper analysis and numerous lesson ideas. The publisher includes a website where ready-to-use lessons can be downloaded and reproduced. The lessons in this book are applicable for students of all grades and ages. Classroom teachers, resource teachers and curriculum specialists who want to enhance the existing curriculum with high-interest lessons could use this book as a major resource for planning. Parents of children who are struggling at school will appreciate the many tips that can be used at home to build continuity between family and school. Administrators planning whole school action plans for student achievement will find interesting ideas to engage all stakeholders. Without a doubt, this book has limitless applications for the creative and caring educator.